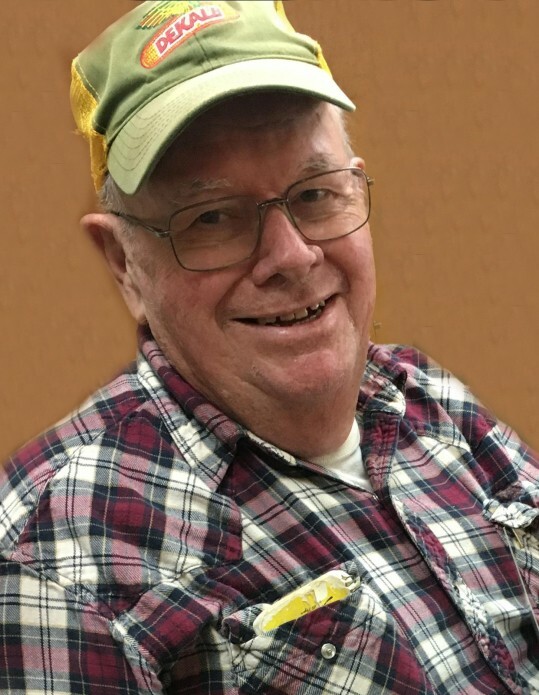 JERSEYVILLE - Carl Gilbert Moore, 80, of Jerseyville, died at 3:10 p.m., Tuesday, April 9, 2019 at Jersey Community Hospital in Jerseyville from injuries he sustained in a farming accident earlier that afternoon. He was born in Piasa, Illinois on October 21, 1938, the only child born to Gilbert "Gib" and Genevieve (Johnson) Moore. His early years were spent in Piasa, until he was eleven years of age, when his parents moved to Jerseyville. He graduated in 1956 from Jersey Community, and his entire life has been spent surrounded by agriculture. His father began Moore's Oil and Fertilizer in Jerseyville, and incorporated the business in 1951. Throughout the years Carl worked with area farmers, eventually assuming ownership of the business. For many years, he ran a very successful and respected business where he gained loyalty and many life long friendships with his farming counterparts. After the business closed, Carl still maintained a close circle of friends, many of which he still continued his custom application and fertilizer speading business. He had a love for vintage cars, and was active in many agriculture endeavors, including the Future Farmers of American and the Jersey County Fair. He married the former Joyce D. Murrie on November 5, 1961 in Jerseyville, and they shared nearly 53 years together before her death on October 19, 2014. He is survived by his two sons, Craig Moore and Darren Moore, both of Jerseyville, along with numerous close friends. Visitation will be from 3 to 6 p.m. Sunday at the Crawford Funeral Home in Jerseyville, where funeral services will be conducted at 10 a.m. Monday. Rev. David Prosser will officiate. He will be laid to rest in the Oak Grove Cemetery in Jerseyville, where the Jerseyville American Legion Post #492 will conduct military honors, signifying Carl's service to his country with the United States Army. Memorials may be given to the Jersey Community High School FFA program.